Tom Scully's ride to the Commonwealth Games points race gold medal this morning looked so well worked that it could have almost been preordained. The Southland cyclist took three laps on the field and won six of the 16 sprints - including a massive coup de grace in the final lap - to finish comfortably ahead on points from Isle of Man rider Peter Kennaugh and his New Zealand teammate Aaron Gate. Together with Shane Archbold, the three riders in black skinsuits took an early stranglehold on the 160 lap race and then refused to relax their grip until it had coughed up the endurance squad's first gold medal in Glasgow. ''It feels pretty bloody good. It was awesome out there, we had three guys that could have won the race tonight and those other two are good mates off the bike, as well as on the bike,'' Scully said. The gold medal continues a miraculous comeback for Scully, a teenage prodigy on the boards before suffering what was initially feared could be a career-ending leg injury during a race crash in Ireland three years ago. Since then Scully's cycling career has focussed largely on the road, but encouraged by those close to him in the sport he decided to have another whack on the track. That decision to hit the boards again saw him ride to a silver medal in the points race at the world championships in Cali in February. ''I had some good friends down home in Invercargill talk me into it again this summer, just to give it a crack off the back of the Southland tour. I had some good form and buildup for the World Cup season, got a few opportunities and rode the worlds this year and I'm pretty thankful for my team in the UK, Madison Genesis, for releasing me to come and race the Commonwealth Games. If there's something Scully doesn't lack for, it's support. A Facebook page set up in his honour has been receiving messages from his 31 cousins, he has had mentoring from Tour de France rider and track great Greg Henderson this year and he gave a shoutout to the 'Invercargill Massive' back in his home city as well as his family in Cromwell. 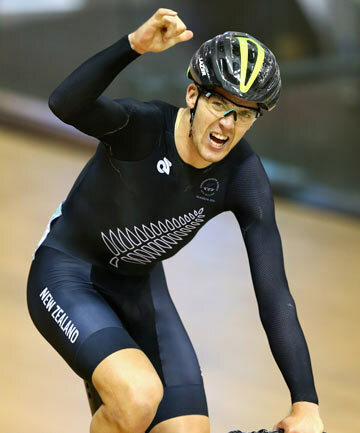 Scully will be back in action tomorrow morning (NZ time) for qualifying in the 20km scratch race with Archbold and Dylan Kennett, an event New Zealand will have hopes of winning another medal in. 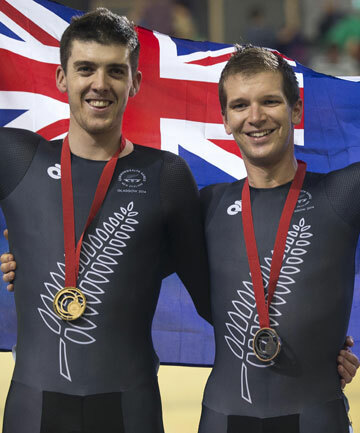 In other track action, Simon van Velthooven and Matt Archibald won silver and bronze respectively in the final of the 1000m time trial.